Permatex Dielectric Tune-Up Grease is a silicone dielectric compund whose dielectric and lubricitous properties facilitate and improve tune-ups. The compound prevents voltage leakage around any electrical connector thereby insuring a strong spark in high energy automotive ignition systems. 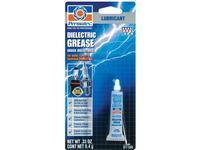 Permatex 22058 Tune-up Grease - 3 oz. 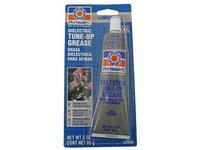 Permatex 81150 Tune-up Grease - .33 oz.